We learn many essential halachot from the prayer of Chanah, who stood and begged Hashem to remember her and grant her a son. Her prayer was accepted and she merited giving birth to Shmuel the prophet, who was the greatest prophet of Israel after Moshe Rabbeinu. As it says, (1 Samuel 1:13), “Chanah spoke upon her heart, only her lips moved, her voice was not heard.” The Chachamim teach, “‘Spoke upon her heart’ – from here [we learn] that the person praying must direct his heart (have kavanah). ‘Only her lips moved’ – from here [we learn] that the person praying must mouth the words. 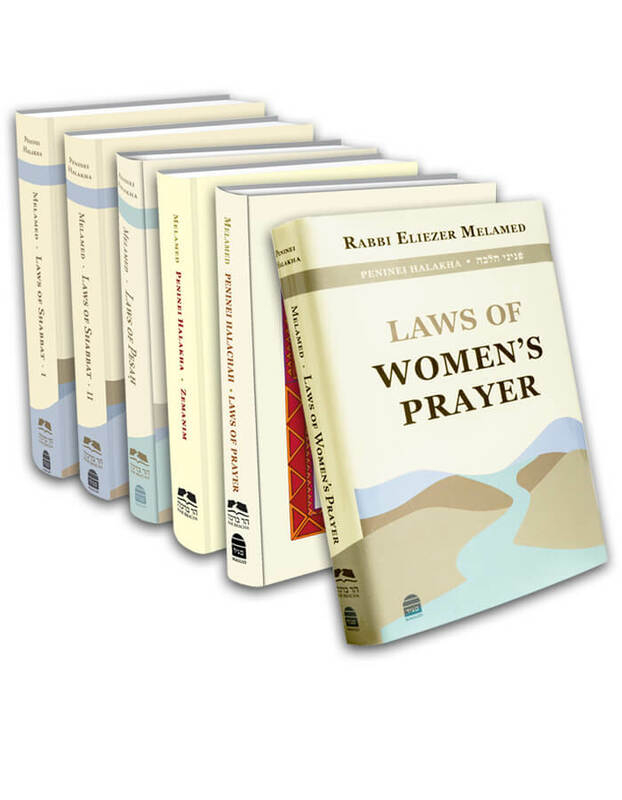 ‘Her voice was not heard’ – from here [we learn] that it is prohibited to raise one’s voice while praying” (Berachot 31a). The primary objective of the Amidah prayer is to express the deep aspirations of one’s soul before Hashem, and therefore it is not proper to recite the words aloud and to manifest these desires and needs outwards. On the other hand, one does not fulfill his obligation with thought alone, since every concept must possess a tangible expression in this world. Very often, our inner desires are praiseworthy, but their outer expression is flawed. Therefore, our task is to express our inner good will, in actuality. Hence, even the subtlest mitzvah like prayer requires some sort of expression, by silently articulating the words with one’s lips. There are different minhagim regarding the proper way to pray silently. According to the majority of poskim and a few kabbalists, one reciting the Amidah must utter the words in such a way that only he hears his voice but those praying next to him do not (Shulchan Aruch 101:2; Mishnah Berurah 5-6). According to most kabbalists, the Amidah is so intense and internal that even one’s own ear should not hear the words; instead, he should only mouth the letters with his lips (Kaf HaChaim 101:8). It is proper that each person follows his family’s minhag, or conduct himself in the way that he can have the most kavanah. B’dieved, even if a person recites the Amidah out loud, he fulfills his obligation. Therefore, if a person who has difficulty concentrating silently is praying alone, he may pray out loud. However, in a congregation, he may not recite the Amidah out loud under any circumstances, so that he will not disturb the rest of the people praying around him (Shulchan Aruch 101:2). Overall, it is better that he prays in a minyan silently, even if he will concentrate less, for prayer in a minyan is accepted (Mishnah Berurah 101:8). Regarding the other sections of the prayer service, such as Birkot Keriat Shema and Pesukei d’Zimrah, which are not as internal and intense as the Amidah, all opinions agree that the person praying must hear the words he is reciting. It is even customary to recite the first verse of Keriat Shema aloud in order to arouse kavanah (Shulchan Aruch 61:4). Similarly, one must answer Amen and Baruch Hu u’varuch Shemo out loud, and one must especially try to respond to the Kaddish out loud as well (Shulchan Aruch 56:1).
. On the High Holy Days, when everyone has machzorim, whoever has difficulty concentrating silently is permitted to raise his voice slightly, provided that he does not disturb the neighboring congregants (Shulchan Aruch 101:3). However, in a place in which the custom is to pray silently even on the High Holy Days, one who raises his voice will most definitely disturb the other people praying. Even in a place in which people pray out loud during those days, it is forbidden to shout out one’s prayer, for one who does so, behaves like the false prophets who think that their gods are hard of hearing and that one must yell in order to be heard (Berachot 24b).